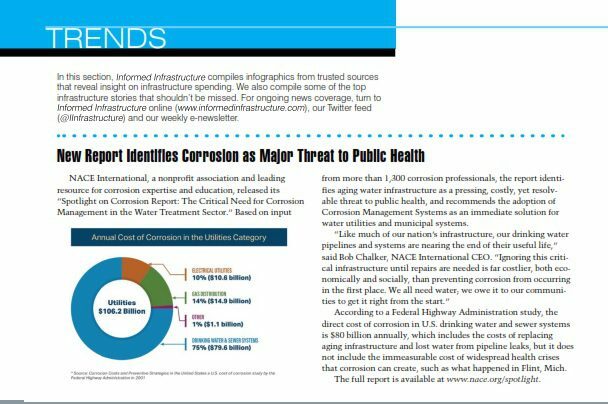 NACE International, a nonprofit association and leading resource for corrosion expertise and education, released its “Spotlight on Corrosion Report: The Critical Need for Corrosion Management in the Water Treatment Sector.” Based on input from more than 1,300 corrosion professionals, the report identifies aging water infrastructure as a pressing, costly, yet resolvable threat to public health, and recommends the adoption of Corrosion Management Systems as an immediate solution for water utilities and municipal systems. 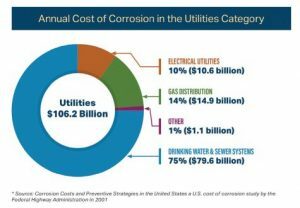 According to a Federal Highway Administration study, the direct cost of corrosion in U.S. drinking water and sewer systems is $80 billion annually, which includes the costs of replacing aging infrastructure and lost water from pipeline leaks, but it does not include the immeasurable cost of widespread health crises that corrosion can create, such as what happened in Flint, Mich. The full report is available at www.nace.org/spotlight. According to the U.S. Energy Information Administration (EIA), some 24 gigawatts (GWs) of electric generation capacity will be added to the nation’s electrical grid in 2019, with 8 GWs of capacity set to retire. Of the new 24 GWs, 46 percent will be from wind, and 18 percent will be generated by solar for a combined total of 64 percent of the new electric generation capacity coming from renewable sources. In addition to the renewable projects set to come online, 34 percent of 2019’s new capacity will come from natural gas power plants. According to the EIA, more than half of the 10.9 GWs of new electric capacity to come online in 2019 will come from the Midwest in Texas, Iowa and Illinois, while more than half of the 4.3 GWs of new capacity due to solar will come from California, Texas and North Carolina. Of the 8 GWs of capacity set to retire in 2019, 4.5 GWs will come from retired coal-fired plants. In 2018, 13.7 GWs of coal-fired electric capacity was retired, the second-highest total ever. 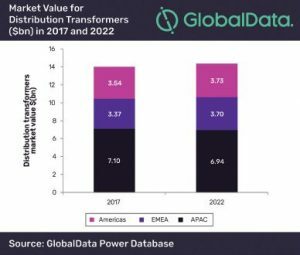 Asia-Pacific (APAC) will continue to lead the distribution transformers market of the global power sector with a share of 48 percent and reach $6.94 billion in 2022, according to GlobalData, a data and analytics company. 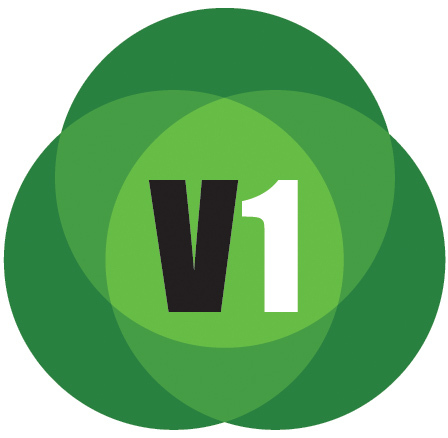 The company’s latest report, “Distribution Transformers Market, Update 2018,” reveals that the global market value is likely to reach $14.32 billion in 2022, growing at a modest CAGR of 1.6 percent between 2018 and 2022. Political and business leaders from around the world outlined the far-reaching geopolitical implications of an energy transformation driven by the rapid growth of renewable energy. In a new report launched at the Assembly of the International Renewable Energy Agency (IRENA), the Global Commission on the Geopolitics of Energy Transformation says the geopolitical and socio-economic consequences of a new energy age may be as profound as those which accompanied the shift from biomass to fossil fuels two centuries ago. These include changes in the relative position of states, the emergence of new energy leaders, more diverse energy actors, changed trade relationships and the emergence of new alliances. The commission’s report, “A New World,” suggests that the transformation will change energy statecraft as we know it. Unlike fossil fuels, renewable energy sources are available in one form or another in most geographic locations. This abundance will strengthen energy security and promote greater energy independence for most states. At the same time, as countries develop renewables and increasingly integrate their electricity grids with neighbouring countries, new interdependencies and trade patterns will emerge. The analysis finds that conflict related to oil and gas reserves may decline, as will the strategic importance of some maritime chokepoints. The energy transformation also will create new energy leaders, the commission points out, with large investments in renewable energy technologies strengthening the influence of some countries. China, for example, has enhanced its geopolitical standing by taking the lead in the clean energy race to become the world’s largest producer, exporter and installer of solar panels, wind turbines, batteries and electric vehicles. Fossil-fuel exporters may see a decline in their global reach and influence unless they adapt their economies for the new energy age. The full report can be found at geopoliticsofrenewables.org/report. FMI Corporation, a provider of management consulting and investment banking services to engineering and construction, infrastructure and the built environment, released its “2019 FMI Overview,” featuring FMI’s latest forecast: the 2019 U.S. and Canada Construction Outlook. 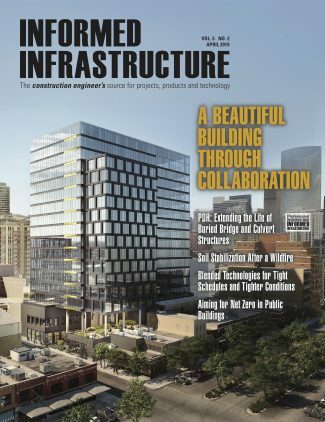 The publication offers comprehensive construction forecasts for a broad range of market segments and geographies in the U.S. and Canada, and provides valuable insights from FMI executives on how to navigate the next 12 months. • 2018 marked another strong year for the North American built environment, with total U.S. engineering and construction (E&C) spending growth expected to finish at 5 percent, the same as in 2017. • Spending growth in 2018 was predominantly led by transportation and select private nonresidential segments. • Looking ahead to 2019, FMI forecasts a 3 percent increase in spending levels over 2018. 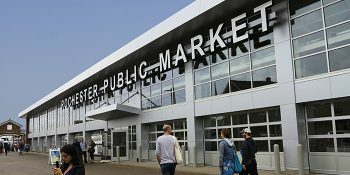 • Primary growth segments in 2019 are expected to include office, educational, public safety, transportation, conservation and development, and manufacturing—all with forecast growth rates of 5 percent or more. • Most other segments will likely grow by roughly the rate of inflation and therefore be considered stable. • Multifamily, lodging and religious are three segments expected to experience decline through 2019. • In Canada, total construction spending put in place is anticipated to be just shy of $260 billion for 2018. This comes to a modest 3 percent increase over 2017 or about $9 billion in additional investment. Looking ahead to 2019, FMI forecasts another year of modest growth, with total construction spending topping $275 billion. To access the 2019 FMI Overview, featuring FMI’s latest forecast, the 2019 U.S. & Canada Construction Outlooks, visit: https://www.fminet.com/construction-outlook/. To access FMI’s New Forecast: The 2019 Canadian Construction Outlook, visit: https://www.fminet.com/canadian-outlook/.